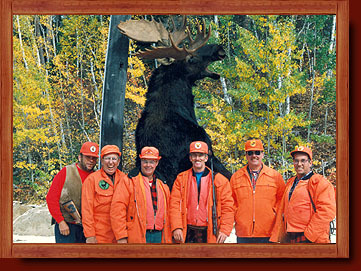 Most hunters in Ontario must wear hunter orange garments during the big game season. All licensed individuals hunting during the rifle seasons for Deer, Moose or Black Bear, must wear an outer garment of at least 400 square inches of hunter orange above the waist. A hunter orange cap also must be worn. The regulation applies to upland game hunters and archers during the big game rifle seasons as well. Waterfowlers won't be required to wear hunter orange, nor will archers during archery-only seasons. Upland game hunters escape the regulation outside the rifle seasons for deer and moose. Small game hunters with the exception of Waterfowlers must wear hunter orange during the big game rifle season. The clothing must be solid hunter orange. Open mesh or camouflage hunter orange does not qualify. The 400 square-inch minimum equates roughly to a solid hunter-orange vest and cap.